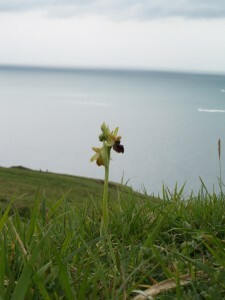 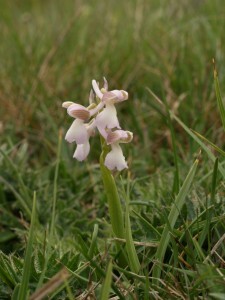 This is a lovely alba form of Green Winged Orchid growing on the cliffs near Swanage. 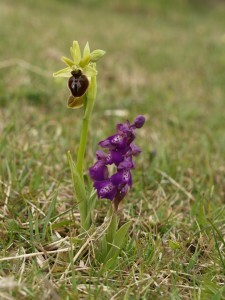 A darker more usual form is shown below with the Early Spider orchid. 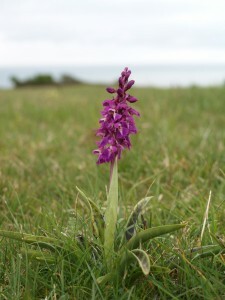 Early Purple Orchid can be found in woods or in ancient meadows like this one at Durlston Park Dorset.